The practice of purposeful animal breeding in Estonia dates back to the 19th century. Animal keepers took an active role in breeding work during the first Republic of Estonia in the 1920s and 1930s. The relatively poor farmers joined their efforts to keep herdbooks and collect animal recording data. Breeding centres for sires were founded to organize purchase and use of breeding material. As a result, pedigree herds of high quality were formed. Estonian butter, eggs and bacon soon became well-known in the European market. After World War II, cooperative breeding societies were liquidated. In the 1960s, strong solidarity of breeders contributed to the establishment of breeding councils. These were non-governmental voluntary co-operative organizations uniting leading specialists of collective farms, scientists as well as enthusiasts in breeding. In April 1990, a serious discussion about reorganization of state institutions into co-operative and privately owned organisations was started. The author of the present article suggested a new structure for consideration at a meeting chaired by the Deputy Minister of Agriculture Jüri Kulbin on 10 April 1990. This proposal was unanimously accepted, and on 30 October 1991, under the jurisdiction of the Minister of Agriculture, the Animal Breeding Inspectorate of the Republic of Estonia was established. The first step was to legally separate the breeding units from collective farms; for this purpose breeding centres were founded starting from 1 January 1992. By the autumn a decision was made to establish breeding co-operatives. An animal breeding association “Estonian Red Cattle” was founded in Tartu on November 10th, and an animal breeding society for Estonian Black-and-White cattle in Rapla on November 11th. Constitutional documents of these organizations were ratified in December. The breeding associations were registered in January and March 1993, respectively. Registration was followed by complicated negotiations between the associations and the Estonian Privatisation Agency aimed at concluding purchasing contracts of the assets of the breeding centres. This approach of the government was obviously not fair, as the fixed assets of the AI centres had actually been built up using the cash obtained from the sales of sperm. Terms of the contracts proposed by the parties involved differed greatly. The Estonian Bacon Breeding Society was set up on 10 December 1992. Its foundation agreement was concluded on 26 January 1993, after which the Society was entered into register. The way the Estonian Large White Breeding Society was established, was somewhat different. Initially, a breeding co-operative was founded under the same name on 20 December 1991, which actually was a private limited company. Later on, after vigorous debates at a meeting on 6 May 1994, the co-operative was terminated and the breeding society founded. 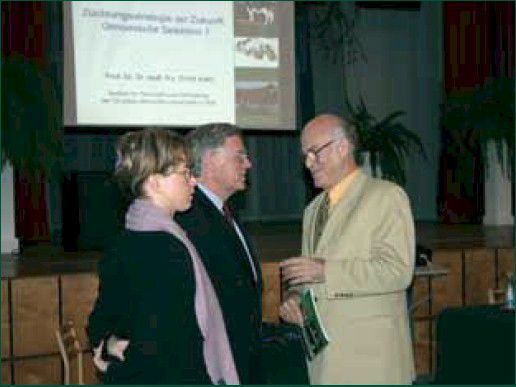 On 19 August 1993, seven breeding organisations gathered at Märja on the initiative of late Tõnis Soonets to found the Estonian Animal Breeding Association (EABA). The constitution of the Association was adopted, whereas it was decided that the President of the Association will also act as the managing director of the organization. Afterwards, the Estonian Native Cattle Breed Society (established 1993) and Association “Estonian Fur“ (established 1996) also decided to merge with EABA. The President and Vice-President of EABA are elected for a three-year term. Since 1993, the President of EABA has been Prof Emer Olev Saveli. Cand Agr Aavo Mölder is currently the Vice-President and Chairman of ABAE, acting also as a representative of animal owners. President and an administrative assistant are the only salaried employees of the Association. EABA’s budget is composed of membership fees, and is approved by the General Meeting. EABA has received financial support from the Rural Development Foundation and the Estonian Agricultural Registers and Information Board. The major tasks of EABA involve coordinating the activities of breeding societies, participating in negotiations and legislation discussions with the government, organising public events and workshops to disseminate research perspectives and practical advice to animal breeders. We can therefore acknowledge that a co-operative breeding organization has been working in Estonia for about 20 years. There have been changes in the name and structure of different breeding societies within the past ten years. Merger processes were often very complicated. Negotiations for merging pig breeding societies and cattle breeding societies, split into different organizations based on animal breeds, were conducted almost simultaneously. The breeders of Estonian Black-and-White Cattle and Estonian Bacon united to found the Estonian Animal Breeders’Association with a joint budget on 1 January 1998. Later, the breeders of Estonian Native Cattle joined them, whereas the Native Cattle Breed Society continued its activities. The Estonian Large White Pig Breeding Society was renamed the Estonian Pig Breeding Association. As government allocations to support pig breeding were granted only to the latter, other pig breeders have also opted for this organization. The breeders of Estonian Red Cattle joined the Animal Breeders’Association of Estonia on 1 January 2003. Horse breeders had to face serious organisational problems for several years. The Estonian Horse Breeders’ Society was founded in 1992 to promote developing of all breeds of horses. The board of this society, however, was much more concerned about its power and privileges rather than horse breeding. The government tried to force the affiliate societies to become independent, as a result of which the Estonian Sport Horse Breeders’ Society was founded. The latter is mostly engaged in breeding cross-bred horses. The Estonian Native Horse Conservation Society was founded, followed by the Society for Preserving and Breeding of Estonian Horse (2002). All these four organizations were interested in breeding Estonian Native Horse. Why so? Just because the preservation programme of the Estonian Native Horse, recognized as an endangered breed, receives funding from the government. Each organization was struggling for this money, which harmed the relationships between the managerial staffs. Luckily, the former two were officially acknowledged in 2003, and the Estonian Native Horse Conservation Society is participating in the preserving activities as well. 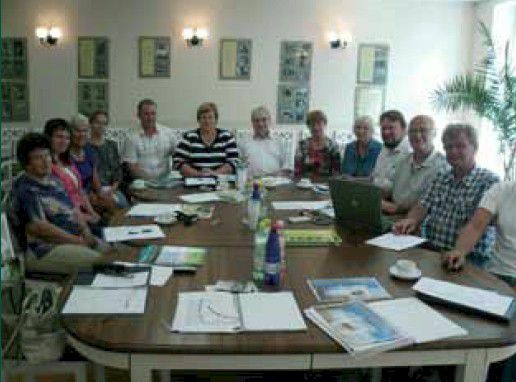 The Estonian Pedigree Pig Breeding Association officially left EABA in 2003 due to disagreements, while it is still interested in participating in EABA’s activities. Thus, despite different opinions and objectives, animal owners are provided with good service, the productivity of farm animals is increasing, and the quality of livestock products is improving. 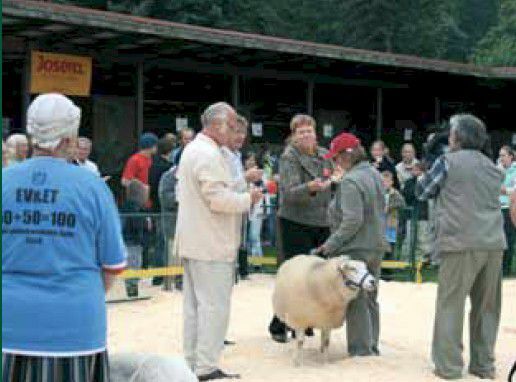 In 1990, Estonia’s first pedigree animal show and competition was organised at Luige, near Tallinn. Since 1997, in cooperation with the Estonian Agricultural Museum, pedigree animal shows have been held at Ülenurme, a village near Tartu. The culmination of this popular event, which takes place processes were often very complicated. Negotiations for on the first Saturday of September, is the demonstration of merging pig breeding societies and cattle breeding societies, top breeding animals, the champions of each breed raised split into different organizations based on animal breeds, were in Estonia. The fair always attracts thousands of visitors. 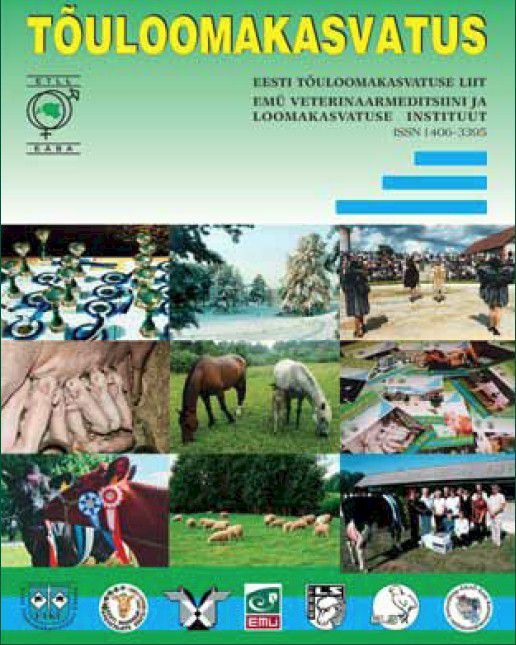 EABA’s journal of animal breeding Tõuloomakasvatus, issued quarterly since 1998, is the only Estonian-language publication of its kind. EABA’s calendar Tõuloom (Pedigree Animal) is in great demand. President of EABA has judged national shows of Estonian Native Cattle as well as those of different horse, sheep and goat breeds. EABA organizes seminars, training sessions and conferences. It also renders assistance to breeding societies in managing issues, preparing and revising statutory documents and improving co-operation between the organizations. The year 2010 marked the 125th anniversary of the publication of the first herd book in Estonia.